These reference materials have been specially developed for the qualification of the dedicated low volume (< 5 ul) and short path length (< 1 mm) instrumentation offered by several vendors for use when sample is often at a premium. They are also ideal for qualifying conventional instruments when they are used with ultra- low volume cells such as the Starna DMV-Bio cell. 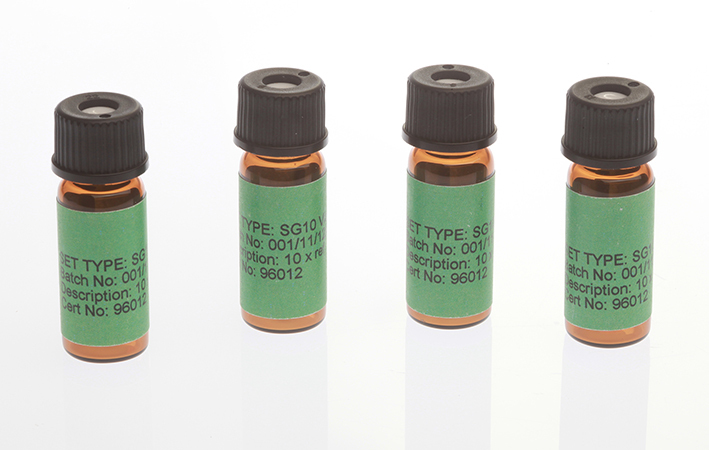 The references are supplied in vials with screw-cap closure for ease of handling, and from which it is easy to transfer them to the instrument under test using a micropipette or syringe. Each vial contains 1.5 ml of Starna Green solution. 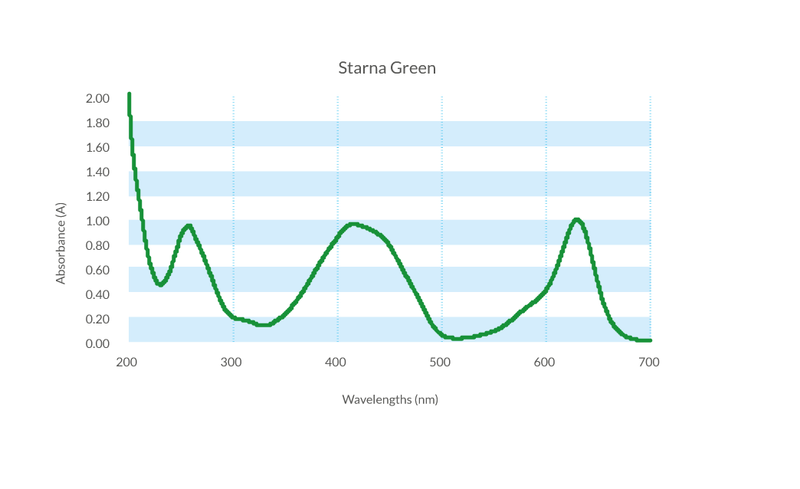 Starna Green is a specially formulated dye solution with three broad but well-defined peaks that can be certified for both wavelength and absorbance value in the UV and visible regions, at bandwidths up to 20nm.The use of aqueous dye solutions is an established and well-recognised method for the validation of the absorbance scale and linearity of a spectrophotometer.